We have heard of the slow but steady pickup in tourism. What is your evaluation of the tourism sector in the first 4 months of this year? By the end of 2014 we had 9.9 million tourists in Egypt. Of this, about 75% were European tourists. About 16% were from the Arab region, especially from the Gulf area. The rest were from the Far East and the US. In the first 3 months of 2015, we have seen a 5% increase over the same period last year. These are your established markets. Which new markets would you like to target? Our big potential market right now is Poland. The Polish market is growing very fast. We also have a lot of interest from tourists in Ukraine and the Czech Republic. We are now working on increasing tourist flow from the US and Latin America. After the Sharm El Sheikh conference (Egypt Economic Development Conference, March 2015), what is your assessment of MICE (Meetings, Incentives, Conferences and Incentives) or business tourism? 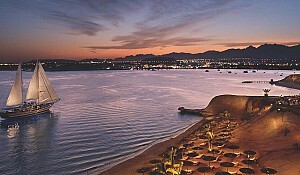 Sharm El Sheikh is an up and coming international resort. You are referring to the economic development conference held there. It was very good for the tourism sector. It was a huge conference. The security at the conference was very good. Now people know that Egypt is back on track. Egypt is now seen as a safe destination. After the economic conference, we also held the Arab Summit in Sharm El Sheikh. Both gave us good publicity in an indirect way. They showed that Egypt is a safe destination. Tourists are coming back to Egypt. Security is an issue again after the attack on the Bardo Museum in Tunis. The Sharm El Sheikh conference had very tight security. How is the Ministry, along with the Tourism Authority, maintaining security at the tourist spots? We are very sorry about what happened at the Bardo in Tunis. Tunisia is an Arab country and we have a very good relationship with them. In Egypt, our President and Prime Minister are making every effort to protect each tourist visiting Egypt. Right now, we have security cameras in each tourist spot and antiquity in Egypt. Egyptian police and military services control every highway exit and monitor every group coming into the tourist areas. If we compare the level of security today to about 3 years ago, we can see an 80 to 90% improvement already. With a new tourism minister in place, have there been changes in tourism promotion strategies? We are now focusing on new products. We are working on safaris. As you know, 94% of Egypt is desert. We have very unique desert landscapes in Egypt, especially the western desert. Safaris are a good option there. We are also working on wellness and spas. We are also focusing on MICE tourism. In addition, we have our normal leisure tourism and the classical culture tourism. Can you tell us a little more about what you are doing with regard to MICE tourism? We have very good infrastructure for MICE tourism, especially in Sharm El Sheikh and Luxor. MICE tourist groups coming to Egypt will enjoy a very special atmosphere. They will enjoy very high quality services because we have highly specialized travel agencies focused on MICE. 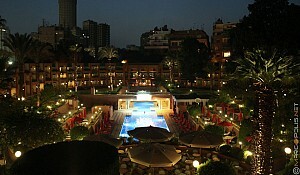 They can have very special gala dinners in the Giza plateau or the Luxor and Karnak temples. We have very good infrastructure and people to provide those services. We are also providing more training in that area. That is our focus right now. These 3 new areas, safaris, wellness and spas, and MICE tourism are very exciting sectors. Are you looking for partners from abroad? It is still a very small segment but it is a very high-end segment. We need to create a balance between mass tourism and niche tourism. Egypt is now a cheaper destination than before. We need to get back on track and increase our income. That is what I want to do. The way to increase tourism revenues is to focus on niche tourism. The groups in the niche segment usually spend more money here than the normal tourists. In terms of revenues, you have set yourself a very ambitious target of $20 billion by 2020—isn’t that overly optimistic? At the peak in 2010, you were at $12.5 billion. How can you reach $20 million in 2020? Yes. We need to increase the numbers by 15 to 20% every year to reach the target we have set ourselves, of $20 billion. I think it will be a little difficult but we need to keep working on it. We will have to work very hard to reach this number. We plan to have strong advertising campaigns all the way through to 2020. We will try to attract new segments of tourists to visit Egypt by offering safaris, spas, golf and MICE. I think we can reach our goal, but I am not sure of it. But we are trying. Can we talk a little more about investment areas? The new minister says you need to invest more in restaurants and malls. Do you have a strategy to attract those investors? Investors are always reluctant to invest their money in countries that seem insecure. What is your specific strategy? I think many countries now trust Egypt as a safe spot for investment. 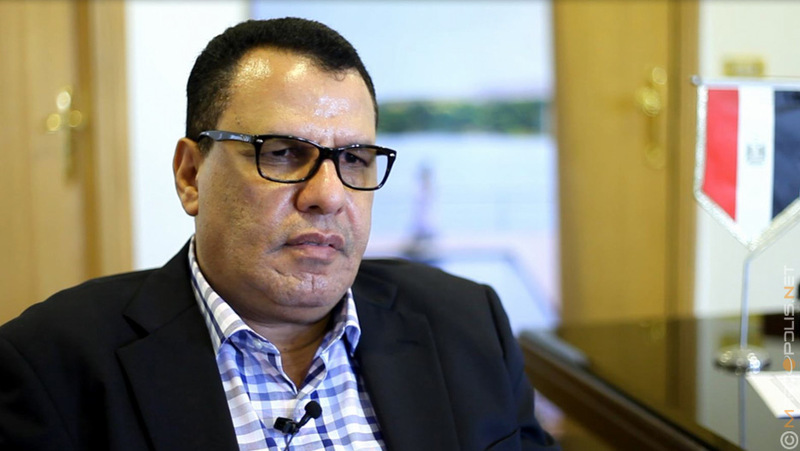 More than 4,000 potential investors attended the Sharm El Sheikh economic conference. They offered up almost $34 billion, because we have very good infrastructure for investment. We have new laws in place for foreign investors. We are giving them more facilities, so companies will be happy to come back to Egypt. In the end, we will succeed. What are your major challenges? What keeps you up at night? For the last 3 years, the image of Egypt has suffered. It has been regarded as an unsafe destination. 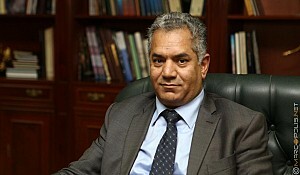 The image of Egypt as a safe place has been tarnished in the international media. International media, both print and electronic, have carried a lot of negative coverage of Egypt. We need to work hard to change this situation. My efforts now are focused on improving the image of Egypt. 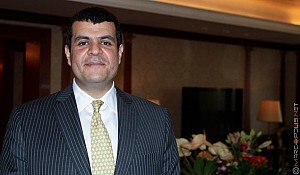 The new Tourism Minister, Mr. Ramy, has announced 2 new resorts with an investment of $1 billion. Can you tell us a little more about these mega projects? We have a huge project in the Red Sea. We have another project in Mersa Matruh. These are not under our umbrella, so I don’t have a lot of information on it. It comes under the umbrella of the Tourism Development Authority. If you need more information on it, it’s better if you talk to the Tourism Development Authority. But is it a good signal? New investment is good. Yes it is good. Right now we have 250,000 rooms. Another 230,000 rooms are being built. In 2 or 3 years, we will have about 500,000 rooms in Egypt. We have to work hard on these projects and on keeping up tourist inflows, especially in the Red Sea area, Luxor and Aswan. In the medium term, what would you consider the optimal position for the Egyptian tourism industry to achieve? By the end of 2015, I think we will have reached an inflow of about 11 -12 million tourists. I think we will match the 2010 peak of 14 million tourists within 2 years. If we can achieve that, it will be very beneficial for Egypt.